Neurological disability (ND) is a major source of human suffering and socio-health burden. Acquired Brain Injury (ABI) is one main form of ND where the brain is affected by a virus, stroke or trauma. Traumatic brain injury (TBI) is the main form of ABI and the leading cause of death and disability in children and young adults. TBI is widely acknowledged as a major global health and social concern. This report looks at individuals with ND who are 'at-risk' of offending and entering the Criminal Justice System (CJS). ND is a major issue in this population and TBI is particularly prevalent. 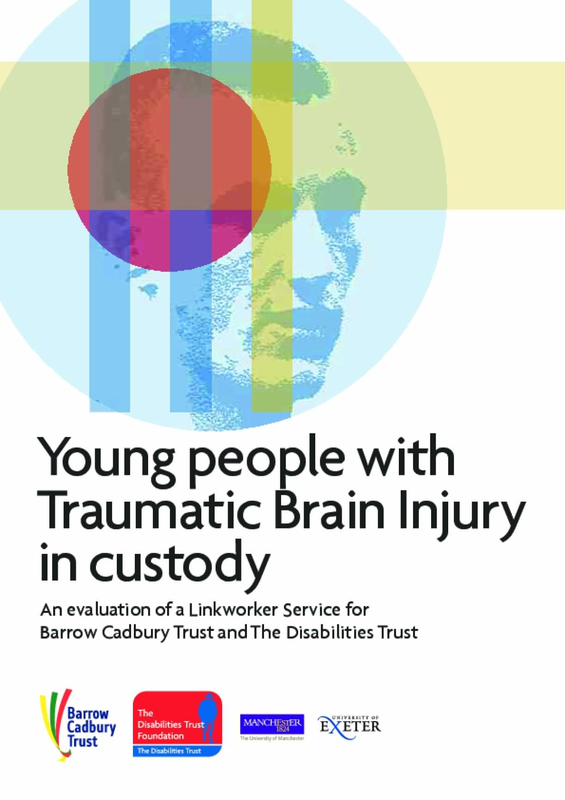 For the purposes of this report we draw on the ND literature, in particular with reference to ABI and TBI. Where relevant we note the 'umbrella' of disorders referred to in specific studies and programmes. ABI and TBI are not directly interchangeable, and every individual with a ND may have various degrees of impairment severity, with limits set by society on their optimal life experience. Nevertheless, there is a substantial heterogeneity of experience across and within ND and key themes emerge that may apply to the care, treatment and support of this population. The development, organisation and evaluation of a service is discussed that addresses the needs of YP, aged 15-21 years with ND, particularly with TBI, and who are in the CJS. The term Young People who Offend (YPO) and/or Service User (SU) will be used as appropriate. The report draws conclusions from the study and makes recommendations that will optimise care, support and better outcomes for this vulnerable population. Copyright 2017 by Barrow Cadbury Trust. All rights reserved.